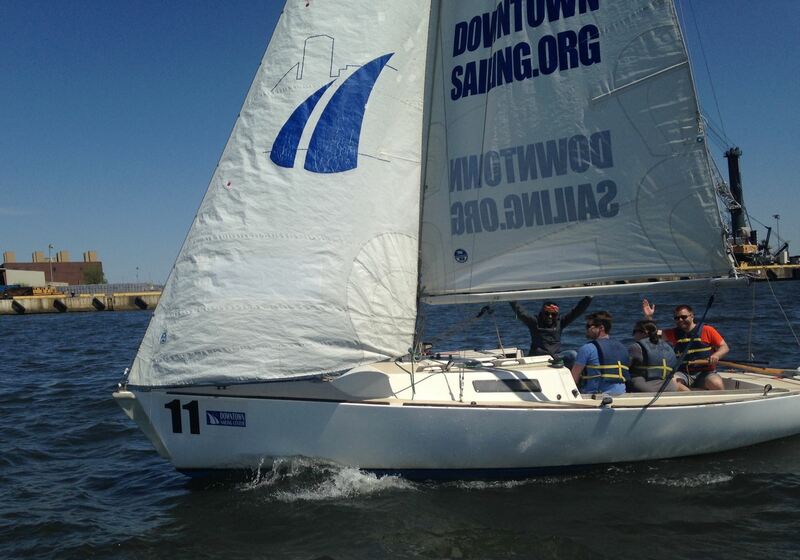 For those interested in completing the nationally recognized certification course, we offer the US SAILING Basic Keelboat (BK) Certification course as a 32 hour intensive course. The BK Certification course covers basic and advanced sailing techniques, including reefing and anchoring. The course fee includes a one-year membership with US Sailing, a course book, a 50+ page student packet specifically designed for our program, and an official log book. If you have always wanted to learn how to sail, this is the most time and cost-effective way to do so! The BK Certification course covers the material in the DSC's Intro and Beyond Intro Courses and includes a comprehensive test that is to be taken at the end of the course. Students who receive this certification will be eligible to be DSC skippers. The 32 hour BK Certification course includes the skills-evaluation, test, and certification opportunity. For those who would like additional preparation or materials, consider US Sailing's Basic Keelboat ONLINE.